Puzzlemad New Additions: No dear I didn't call you a bag! No dear I didn't call you a bag! I have played with the Square in a bag before but never seen such an exquisite version before! 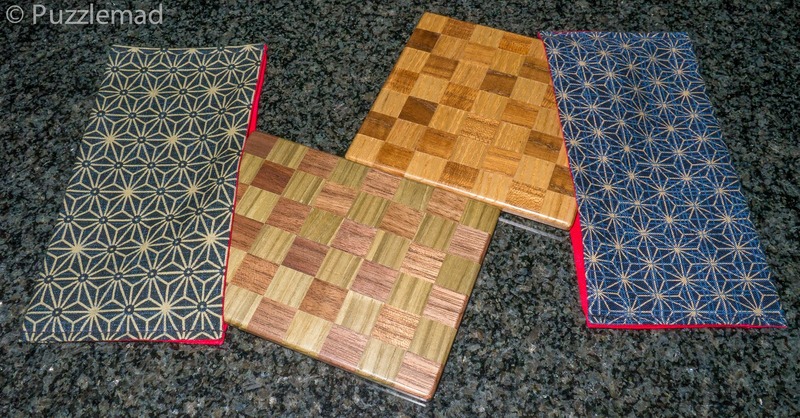 Uyematsu Mineyuki﻿ (aka Mine) produced these and the Square in a bag one a prize at the Washington DC IPP for Iwahiro. So when the beautiful japanese versions came out and the new corRECTly in a bag came up, I didn't hesitate! Even Mrs S like them!! !